Often times taking inspiration from the past leads to success and this is again true in the case of Philippe Starck. 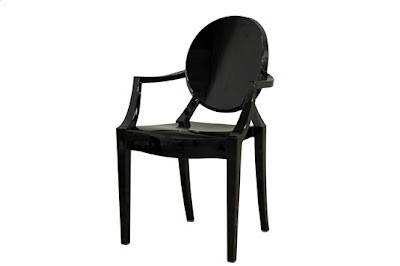 Architect and designer, Starck is the man behind the Ghost Chair. Taking inspiration from the Louis XVI armchair and Victorian armless chairs Philippe developed a timeless, classic design using extremely modern means. Using a process call injection molding, the original ghost chairs are made of polycarbonate and formed in one piece. 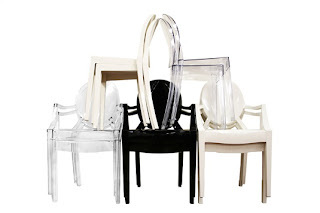 Reproductions are often made of acrylic, these modern Ghost Chairs are just as sturdy as the originals. Available in an array of colors these chairs are also said to be "green" because they can be recycled. 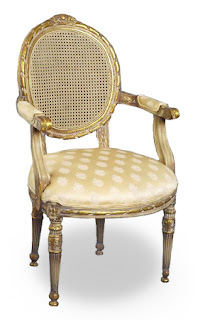 Here at Interior Express Outlet we offer affordable prices on popular designs and currently have Ghost Chairs priced at $62 for return items and $85 for new.